The Thunder did what it had to do last week, taking care of business while preparing for what they hope are bigger and better things. 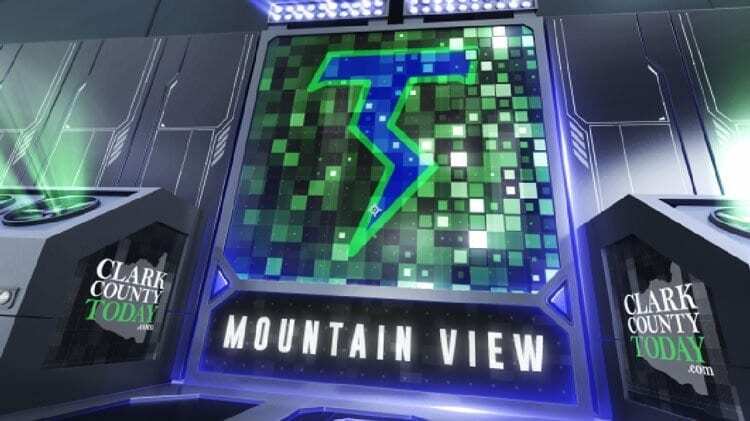 Yes, we all knew Mountain View was going to win this one, but that does not make it easier on the coaches and players involved. Mountain View hopes to have a long season, way past the regular season. The Thunder did not want to lose any momentum in a game they knew they were going to win. So they did work on some things. At the same time, it is tough to get emotionally up for a game like this. Fort Vancouver, which has not won a league game since 2013, was not going to get a win against the Thunder. And the Thunder knew it. Best thing here is to play the game, display good sportsmanship, and hope everyone on both teams get out of there healthy. Mountain View quarterback Glen Perry Jr. threw a perfect dart for a 12-yard touchdown pass to Tyrell Hall in the first quarter. This was not some breakdown by the defense allowing a receiver wide open. This was not missed tackles which allowed the Thunder to break free. Nope, this was a quarterback who saw a sliver of an opening, and then taking advantage. Hall ran his route and was in between four Fort Vancouver Trappers when Perry delivered the ball for a touchdown. Later in the half, Perry scored on a 9-yard TD run. He was hit initially at the 6-yard line. Another defender tried to wrap him up at the 5-yard line. Perry kept going toward the goal line. At the 2-yard line, two more Trappers seemingly had him. Nope, Perry kept moving his legs, spun, then twisted his body one last time to stretch the ball over the line for a touchdown. Simple math for the Thunder: Win out and win the league title outright. Win one game and be assured of at least a tie for the league title. 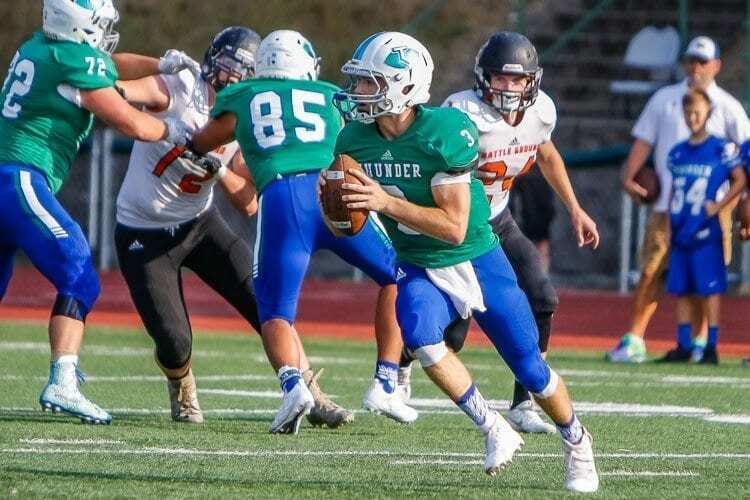 A stumble against Prairie or Evergreen could mean a tiebreaker for the top seed but still a league title for the Thunder. Going into Week 8, Mountain View is the lone undefeated team in league play.